It’s Friday. It’s summertime. It’s insanely hot outside. It’s almost time to go back to school. If you’re smart, you’ll be spending your weekend milking every last bit of poolside relaxation you can out of Summer 2018, and we’ve got the perfect deal to help you enjoy yourself. 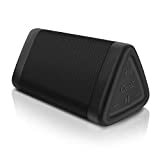 The OontZ Angle 3 Enhanced Stereo Edition Portable Bluetooth Speaker has been Amazon’s best-selling portable wireless speaker for more than two years now, and it’s time for you to find out why. Retail on this speaker is $45 and it typically sells for under $30, but right now it’s on Amazon at an all-time low of just $19.99. Get one. You won’t be sorry.